There are a few classic combinations which, however hard free improvisors try to distance themselves from the jazz idiom, just won’t be kept down. 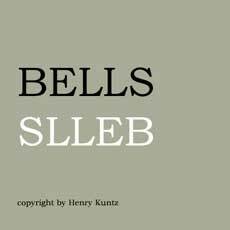 This is one of them, the reeds-and-rhythm format which was a staple of bebop from its earliest inception and which formed the basis of Lennie Tristano’s experiments with free music nearly half a century ago. A lot’s changed since then but, it seems, not the appeal of the quartet, even for players like these who are often seen in far more unusual groupings. Parker’s quartet is no telephone band; these guys have all been playing together for some time, although it’s the first time (to this writer’s knowledge) that they’ve preserved their music on CD. Moholo and Parker are, of course, acknowledged masters; Beresford is an under-sung but long-standing member of the improvised music community, while Edwards is the young whizz-kid who has, in the past few years, impressed and challenged playing partners old enough to be his parents. This release is nice in that it contains four quartet pieces totalling nearly an hour and also (in typically generous Emanem style) four duets and a trio which were recorded on the same day. Those pieces, only one of which includes Parker, provide a useful way into the styles of the individual musicians for those who are unfamiliar with some or all of them. The saxophonist’s will surely be the best-known of the voices here anyway. 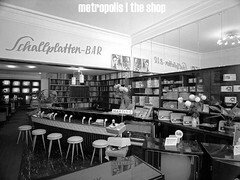 He has several tones he can adopt in different settings, but only one which really suits this restless, jazzy setting; his twitchy, sometimes sinuously linear style which largely dispenses with extended techniques (with one exception: his trademarked way of making a staccato note burst off the reed like a bubble in a hot mud pool). One can listen to him doing this all day and never get tired of it; he’s a constant fountain of invention, an atonal Sonny Rollins unremittingly chasing down fresh ideas and refusing to repeat himself without good reason. Those who think that Parker’s music is samey just aren’t listening, and here, in such good company, he is able to fill his lungs with music and blow it out at the kind of pace he enjoys, fast but not furious, mercurial rather than bludgeoning. 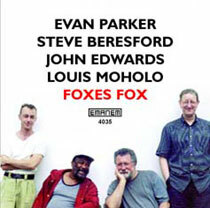 “Fox’s Fox”, the duet of Parker and Moholo, reminded this writer, perhaps in a trival way or perhaps not, of the great duets Max Roach enjoyed so palpably with free jazz saxophonists. Moholo’s playing is hard to describe to someone who hasn’t heard it. It seems as if all the beats have broken apart and are suspended in zero gravity, turning this way and that, occasionally colliding and exploding, often drifting about with a disconcerting combination of aimlessness and intense concentration. His chops are so developed that it’s often hard to tell what he’s doing to create the sounds coming out of the speakers, and within this weirdly dissociated world of splattering, tapping, swooshing sounds shifting without any long-term pulse or apparent logic, an enigmatic genius begins to emerge. For Moholo hits every accent and builds up every phrase with a precision which knocks your socks off. Beresford is one of those pianists who is referred to most lazily as “like Cecil Taylor”. This is because he plays with clusters, apparently random, quick-fire chromatic runs and a focus on rhythm rather than melody or harmony. In this context, however, he is nothing “like Cecil Taylor”. Where the latter is a headstrong leader who blasts his way through and expects everyone else to keep up, Beresford here plays a clever supporting role, taking the odd solo but otherwise forming part of the rhythmic tidal wave which keeps the reedsman afloat. In that respect, this is a quite traditional session, Beresford very much part of the rhythm section and Parker taking the lead for the majority of the quartet’s music. Regular readers of (musings) will know that this writer concurs with the many eminent musicians who have called John Edwards because they believe him to be one of the finest bass players in London. His boundless imagination and uncommonly broad repertoire of styles may at times feel bitty, but the snapping ping of his pizzicato already feels like the genesis of an individual voice and, young as he is, he’s acheived an enormous amount. His duet with Moholo has an assured unhurriedness which is extremely appealing. Something of a treat, then, the Parker quartet; a serious but fun, jazzy jam by musicians who know one another and, it seems, enjoy the company. 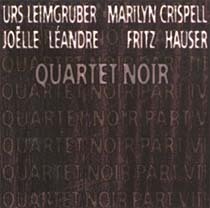 The Quartet Noir disc could hardly be more different, although it’s also of extremely high quality. As the name suggests, there is a sombre edge to this music which Parker’s quartet never touches on and, in breaking the session down into “movements” rather than punning or whimsical titles, a debt to classical music is revealed which Parker has rarely shown much interest in. This music is often spacious, with a limpid rhythm which recalls that terrible phrase “chamber jazz”. 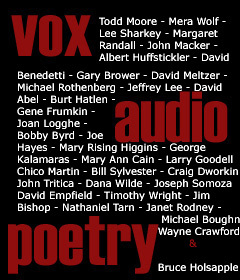 Again, there are two well-known voices here and two who are less so, but in this case it’s the exact opposite of Parker’s; Crispell and Leandre and the stars, Leimgruber and Hauser, at least internationally, the lesser-knowns. All of which being said, this quartet has an almost magical compulsiveness about it. Put it in your CD player and it will charm you into leaving it there, not by being pretty (although it is pretty, in a spikey way) but by being so compellingly devised that you can hardly tear away your ears. If Steve Beresford is “nothing like Cecil Taylor”, Marilyn Crispell is really nothing like Cecil Taylor. She has always had a genius — there it is, “genius” twice in the same article — for creating harmonies which work, for whatever inscrutable reason, in an atonal setting. Occasionally the music becomes more frenetic and the 88-tuned-drums approach gets an airing, but this isn’t Crispell at her most characteristic. That voice works better in settings where the heat is turned down off the boil just slightly, as it is for much of this disc. Then she can place those inexplicable chords with an air of great precision; one imagines her fingers moving like those of an expert sculpting clay, pushing and twisting with perfect deliberateness, with her eyes on the intended result rather than the elegantly simple process. If you haven’t made time for Crispell yet, it’s time you did, and here would be a good place to do it. It seems almost tedious to say, again, that Leandre is a great bass player. Not like Edwards is a great player — that is, a young player who is extremely good — but an established voice with a place in the history of improvised music surely assured by now. Her duet with the saxophonist, which opens “Part II”, is all the evidence you need; a minute of pure invention which, like the activities of the agents in The Matrix, seems possible only if she were able to slow down time, or else think at the speed of light. Here, as so often, it’s her arco playing which impresses; a huge, powerful sound which has within it endless flexibility. Of the lesser-knowns, Hauser is great at this kind of thing but not, really, a player with much identity. Maybe in other contexts, or in a few years’ time, he will be; he has impeccable swing and a great sense of the elastic pulse of this kind of music. In other words, he powers the music along admirably, but compared with Moholo — an unfair comparison for anyone — he’s less proactive, less individual. In such company, that hardly matters, since there’s always plenty to listen to and Hauser never, ever gets it wrong. Maybe it’s his own good taste which stops him pushing himself forward; whatever it is, the way he plays makes the session go like gangbusters. Leimgruber, on the other hand, certainly has his own voice. There are superficial similarities with Parker, actually, especially in the way he plays rivers of notes, each of which seems to be chasing the tail of the previous one. His tone, however, is far more ascerbic than Parker’s, with a biting squeal underlying it which can, at the group’s most ferocious, feel a little like sucking a lemon. For much of the time, however, he plays a more ensemble role, which works admirably. Although that tone, especially on soprano, can sound rather weak (and off-pitch, as the soprano often is), Leimgruber’s ideas more than make up for it. At times, too, that thinness of tone can work in his favour, as when he does a snake-charming routine a few minutes into “Part VI”, making a neat reference to Middle Eastern music without hamming it up.